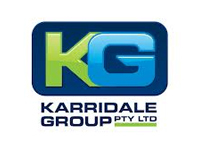 Karridale Group (KG) is a privately owned construction and maintenance contractor headquartered in Bentley, Western Australia. Acquired in 2010, the business has developed in recent years to meet the growing demands of the Australian construction and maintenance market. Specialising in process plant and non-process infrastructure SMP works, KG has completed site construction and maintenance projects throughout Australia with values ranging from $0.5 – 50M. KG has an experienced and long-serving management team, whose vision and philosophies are closely aligned with the company’s. This experience and our commitment to client satisfaction form the cornerstone of our business. KG employs a highly skilled local workforce, supported by a large database of previous employees, enabling us to rapidly mobilise large labour forces to client sites. Our safety systems and culture are well developed and are evidenced by our excellent safety record. At KG we take a collaborative approach to contract execution, preferring to partner with our clients to achieve their goals and exceed their expectations.